What every patient should know prior to going into surgery and if there are problems reported during your surgery. MAUDE data mandatory from the FDA represents reports of adverse events involving medical devices. The data consists of voluntary reports since June 1993, user facility reports since 1991, distributor reports since 1993, and manufacturer reports since August 1996. MAUDE may not include reports made according to exemptions, variances, or alternative reporting requirements granted under 21 CFR 803.191. –Mandatory and yet voluntary? Is that inconsistent and contradictory language? We’ve learned that type of language is a red flag and a sign that The Sociopathic Business Model™ could come into play. Surgical patients need to take steps to protect themselves because the MAUDE reports easily shift accountability and responsibility away from the FDA, device manufacturers, surgeons and hospitals. 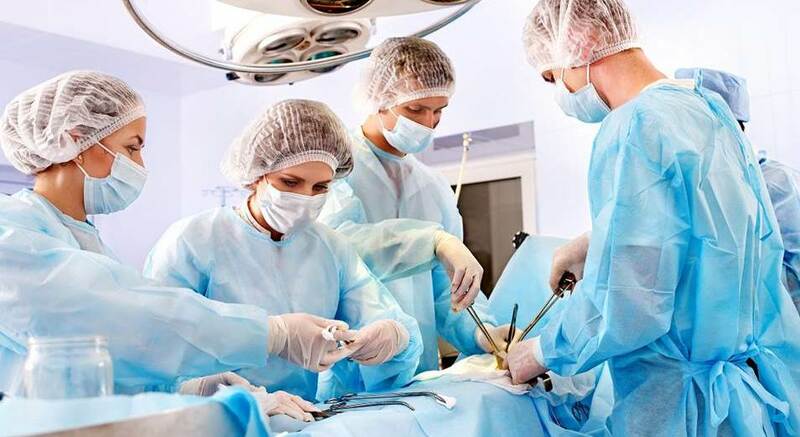 -If something goes wrong with the medical device used during asurgical procedure the manufacturer and or the hospital who owns the product should report the event. -This requires the rep,if present, for the manufacturer to collect what is left of the device/implant, place in a biohazard bag and send it back to their company with an incident report. -If the rep is not present the hospital is supposed to save the device/implant, fill out an incident report and contact the rep immediately ,who is to then send supposed to send the device back to the company. A surgeon could blame the amount of force they used and not view it as a faulty device. The manufacturer’s rep or circulating nurse in the OR would likely have to dig through the trash to find the original packaging with lot number and product code to accompany the defective product, save it in a biohazard bag along with all the details regarding the case and then alert the rep if one is not present. Even though this data is collected and in the patient’s chart, manufacturers require packaging when possible. Once the device is biohazarded bagged it is supposed to be sent back to the manufacturer via the rep along with an incident report. This is not going to be popular but it is factual: people do not want to be associated with incident reports (MAUDE) for fear they have done something wrong and more often than not, DO NOT FILL THEM OUT. A surgeon, when performing a revision (second procedure done in the same area) either by them (or colleague) and view the device sound but previous surgeon or placement error. This is very common on mesh cases where multiple procedures are done on the same patient. As a rep, I’d sent back broken or defective devices to be told by Regulatory that it was user error and they did not think it warranted turning into the FDA. As a rep, I’d asked for the results of the testing done by the company to share the results with my surgeon and never given information back. As a rep, I’d been unsure whether or not it qualified worthy of an incident report and when consulting management that it didn’t look good if we turned in too many incident reports; and, that it looked like I didn’t know how to train my surgeons properly. There is a genuine fear of being held accountable for something you did not do as blame often falls to the rep who did not design the product or approve the product. Threat of job loss or career loss in the industry is very real if alerting a company to a problem they do not want to take accountability for. It is not a justification it is a reality. MAUDE information on medical devices includes reasons for malfunction or cause a death or serious injury and the data is current through the end of the previous month. FDA seeks to include all reports received prior to the update. This will require a MAUDE CASE STUDY post all of its own. MAUDE data is not updated timely and more importantly edited where certain information that could be damaging is removed from the report altogether. And to THE FDA, WHY NOT? Perhaps there wouldn’t be such a MESS with MESH if they’d look at data across devices. Demand that if any device malfunctions you want an incident report, want it charted in your file, and the device sent back to the manufacturer with the results not only sent to the surgeon but to the you the patient as well. Get them to sign something that states the agree to this prior to surgery. No surgeon should have a problem signing this and if they do, I’d look for a new surgeon.